At this step of the wizard. 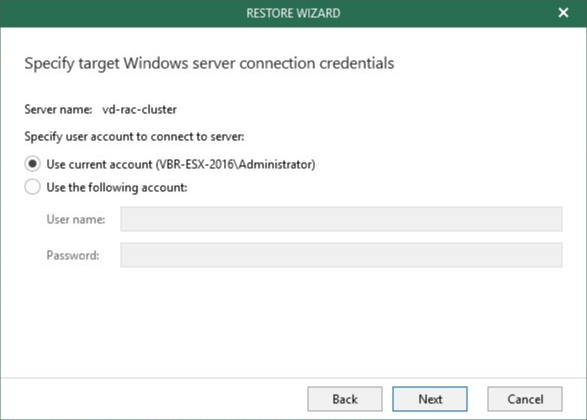 specify valid user credentials to access the target Oracle server. 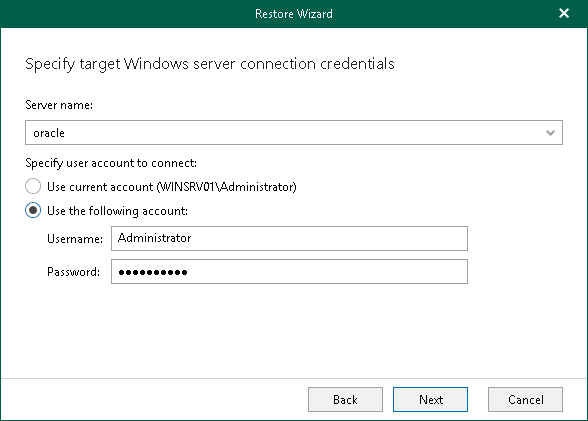 Specify a user account under which you want to connect to the target Oracle server. The user account must be a member of the local Administrator group and have sysdba privileges. Make sure the account is granted appropriate permissions to access Oracle databases; Read and Write are minimum required, Full Control is recommended. The production Oracle server port number. Valid user credentials to access your production Oracle server. The user account must be a member of the dba group. To use a private key, select the Private key option and click Browse to specify your key. 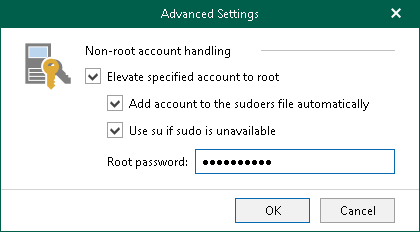 You can use the native Veeam Explorer abilities to elevate your account to root and add it to the sudoers file. To do this, click Advanced and select corresponding checkboxes.